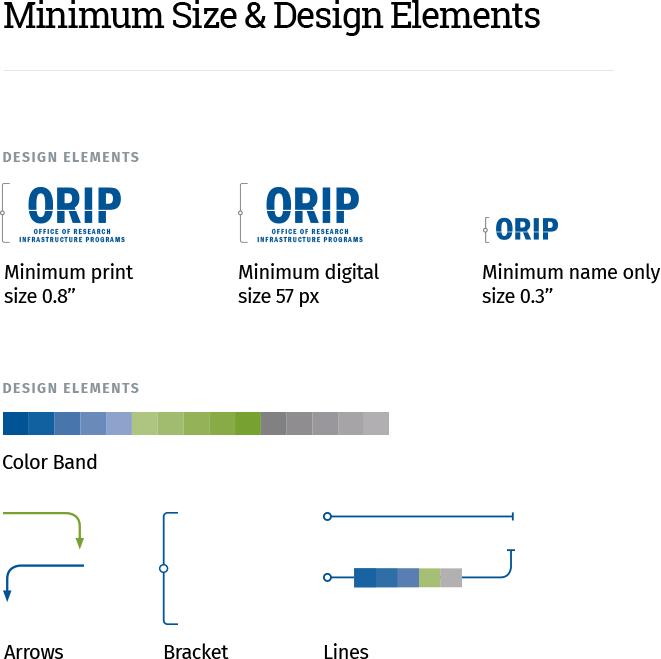 How do you create an identity for the office that does all of the major infrastructure research for all the laboratory work that takes place across every center across the National Institutes of Health? 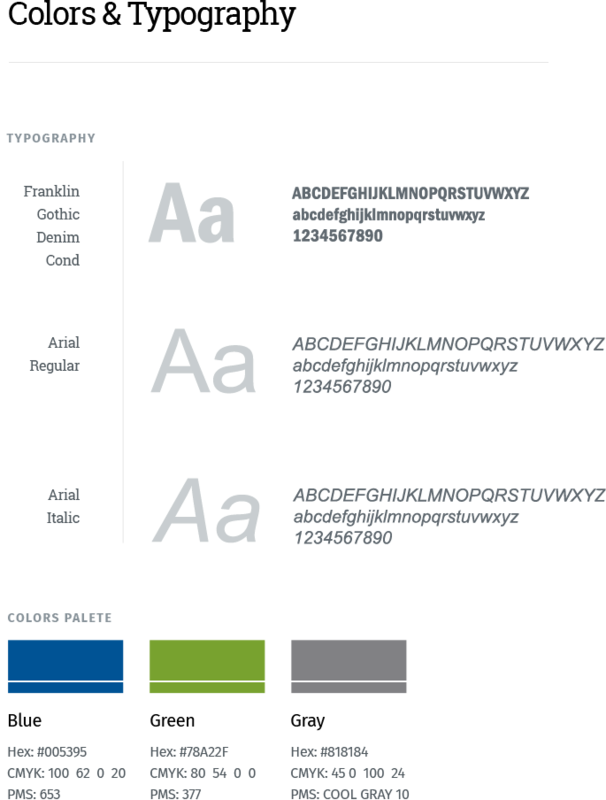 Creating a memorable identity and a easy-to-use collateral system that differentiates itself from all other NIH Offices, while still holding onto the one element that makes research possible: The human element. 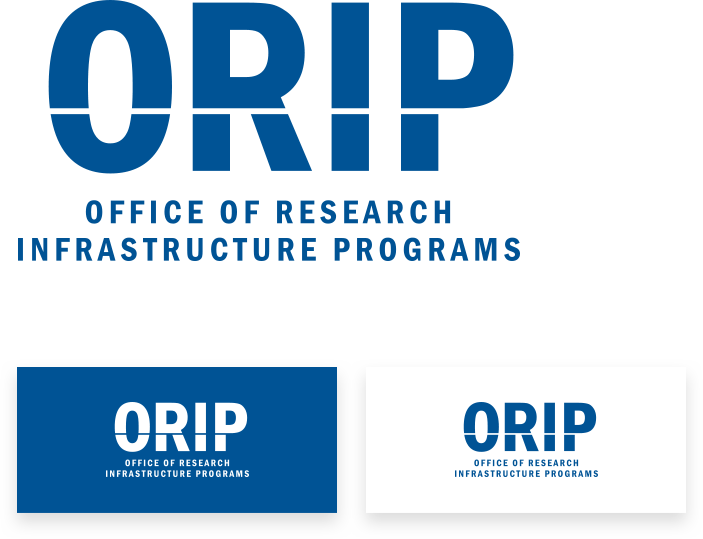 There is a fine line of thought, research, and progress that ties together everything ORIP does into a tight-knit, multi-disciplinary office at NIH. In the end, it was this line – seen cutting across the logo, that tied together everything we designed for them; it was this simple yet elegant theme that brought this identity system to fruition. A subtle use of color and traditional fonts mixed with a clean use of white space and a modern approach to design. 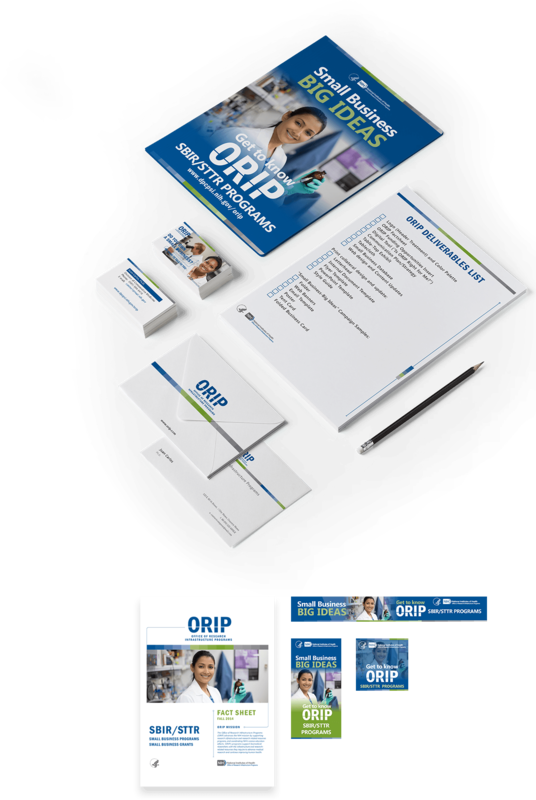 All of the communications collateral ORIP had before this project seemed to be about cramming as much information in as little space as possible. We went in the completely opposite direction. A thin line of demarcation weaved throughout their brand and content blocks was used to visually guide the reader and reinforce a focus on clean, well organized design layouts. Simple, yet elegant color bands, the use of thin directional lines transformed what was once a drab research office identity into a modern branding system fit to represent this cutting-edge NIH Office.